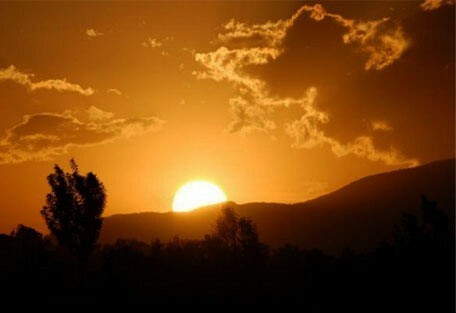 Arusha is surrounded by some of Africa's most famous landscapes and national parks. Situated below Mount Meru on the eastern edge of the eastern branch of the Great Rift Valley, it has a mild climate and is close to Serengeti, Ngorongoro Crater, Lake Manyara, Olduvai Gorge, Tarangire National Park, and Mount Kilimanjaro, as well as having its own Arusha National Park on Mount Meru. It is a multicultural city with a majority African population, large Arab and Indian minorities, and many European and American ex-pats, engaged in diplomatic affairs and the fast-growing local tourist industry. The town of Arusha is situated in the northern parts of Tanzania; an area offering remarkable natural beauty and contains some of Africa's most scenic landscapes and famous national parks. 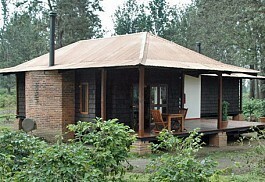 It offers a unique setting at the foot of Mount Meru on the eastern border of the Great Rift Valley situated close to some of the finest national parks in Africa including the Serengeti, Ngorongoro Crater, Lake Manyara, Tarangire National Park as well as Mount Kilimanjaro, the highest mountain in Africa. Arusha National Park is situated on Mount Meru. 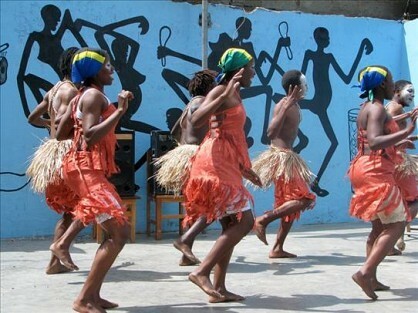 It offers near perfect weather conditions as well as a variety of activities in and around the town of Arusha. Curio markets crammed between the Clock Tower and India Road are filled with high quality crafts. There's a campsite and small, rudimentary pub, and it is a classic place to while away a lazy afternoon. Maasai warriors in full regalia walk around, mingling with tourists. Surrounding lush countryside supports coffee, wheat and maize estates tended by the Arusha and Meru people. Set just outside of Arusha, a little off the main road to Lake Manyara, the Ngorongoro Crater and the Serengeti, Arusha Coffee Lodge is a convenient and comfortable over night stop at the start or end of your safari. 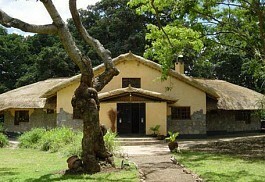 Onsea House is situated on Namasi Hill just outside Arusha in Tanzania. only a short drive away from Arusha town and only 30 minutes from Kilimanjaro International Airport. This peaceful country estate combines old-world ambience, African country elegance, excellent farm cuisine, personal service and genuine warmth from your hosts. 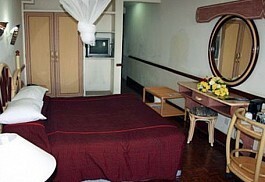 The inn offers tranquility enhanced with contemporary conveniences, ideal for rejuvenation. 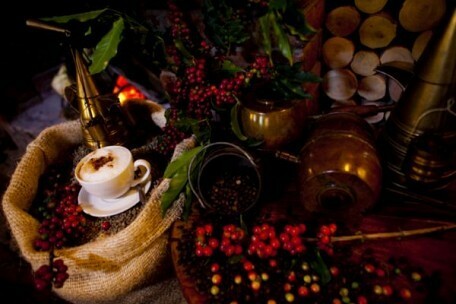 The Legendary Coffee Lodge is a cosy, boutique hotel built on a working coffee plantation just outside Arusha. It provides everything one needs for a short overnight stay or for an extended holiday, as it is the perfect base from which to conduct safari activities. Tucked away in a quiet residential area of Arusha known as Sekei, L'Oasis Lodge is set in lush, private grounds facing Mt. Meru. 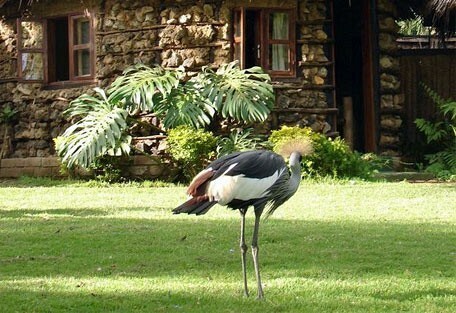 Offering unique accommodation in spacious surrounds inhabited by an 'extended family' of exotic flamingos, crowned crane, spoonbills and herons. 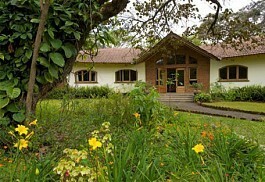 Moivaro Lodge is situated right in the heart of beautiful, natural scenery and yet is only 7 km from the town of Arusha. Relax and enjoy the beautiful vista of Mount Meru from the comfortable veranda, or laze at the pool nestling amidst tropical trees and coffee plants. Situated 45 minutes from Kilimanjaro Airport and 10 minutes from Arusha Airport, Impala Hotel is the gateway to Serengeti, Ngorongoro Crater, Lake Manyara, Tarangire, Mt. 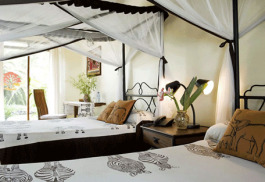 Kilimanjaro, and are strategically placed on the path to the timeless Zanzibar Islands. 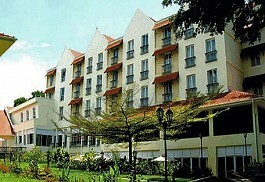 Since 1894 The Arusha Hotel has watched as the once sleepy town of Arusha has grown up around it. From its central vantage point at the famous Clock Tower roundabout and overlooked by the majestic shadow of Mount Meru, this is the finest place to stay in Arusha. Olasiti Lodge is a quiet sanctuary in a flower-filled garden amid the noise and bustle of one of Africa’s most hearty cities. Shaded by jacaranda, bougainvillaea and acacia trees, the hotel is a garden retreat located just moments from the city’s bustling centre and its attractions. 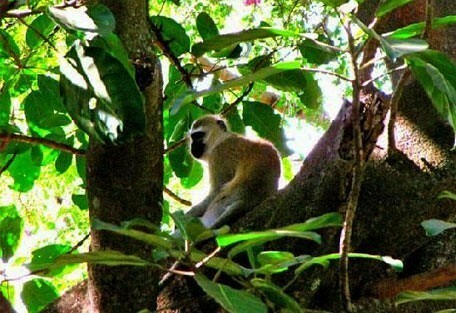 Arusha National Park is the closest national park to the town for guests wanting to visit the park. Other activities and entertainment in the town include a variety of restaurants, shops and night clubs; guests can choose between a game of golf, a gym session, tennis and squash courts, visit the museum or casino. Day trips can also be arranged to the nearby Arusha National Park, Serengeti National Park, Lake Manyara National Park and Mount Kilimanjaro, Africa's highest mountain. 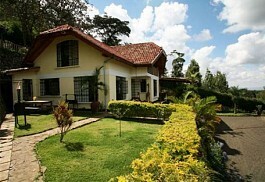 Rivertrees Country Inn lies nestled in the foothills of Mount Meru, in view of Mount Kilimanjaro. This peaceful country estate combines old-world ambience, African country elegance, excellent farm cuisine, personal service and genuine warmth from your hosts. Arusha Hotel is Arusha's supreme boutique hotel offering first class accommodation and service, surrounded by the history of bygone eras. 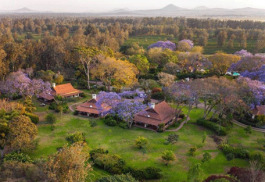 With rolling lawns, abundant trees, a large variety of exotic plants and stunning iridescent birdlife, the gardens of The Arusha Hotel provide an oasis from the bustling town. 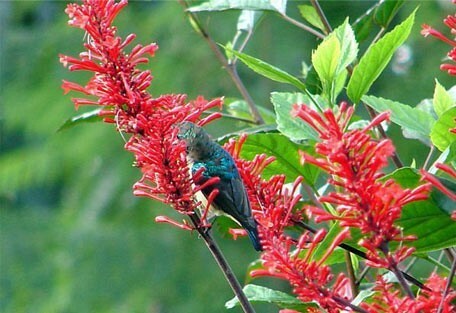 Just after the rains, the garden is alive with vibrantly coloured butterflies and flowers. 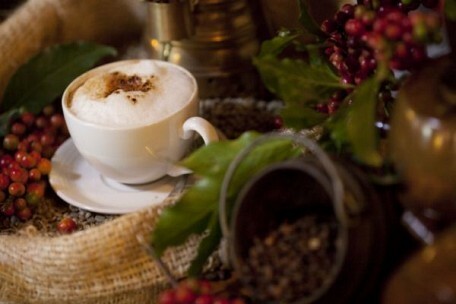 Arusha Coffee Lodge comprises of 30 Plantation Houses, inclusive of 12 Plantation Suites, that radiate out into the evergreen coffee fields. 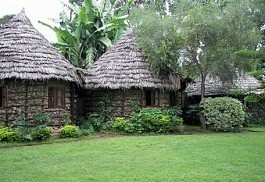 Arusha Coffee Lodge has been designed around the original landowner’s home that dates back to the early 1900s.